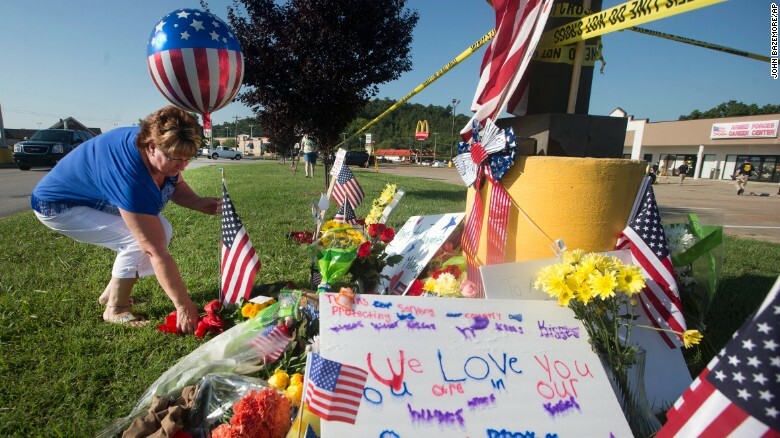 Another in as string of mass shootings took place on July 16th as Mohammad Abdulazeez killed five people at a Marine recruiting center and Naval Reserve in Chattanooga Tenn. Guns are so incredibly easily to acquire over the internet and elsewhere in the United States. It is the only nation where the right to bear arms is a Constitutional right. However “Every day in the U.S., an average of 289 people are shot. Eighty-six of them die: 30 are murdered, 53 kill themselves, two die accidentally, and one is shot in a police intervention, the Brady Campaign reports. Between 2000 and 2010, a total of 335,609 people died from guns — more than the population of St. Louis, Mo. (318,069), Pittsburgh (307,484)…” – NBC News. That means one million people are killed by guns every 30 years. 30% of gunshot injuries are fatal. Thus 3 million people are shot by guns every 30 years or 1 million every 10 years. For America’s population of 300 million we on average have a 3 in 1000 chance of being shot in 10 years. We have a better chance of being shot than being injured by an earthquake, tornado, or lightning strike. We have a right to own and use a gun but only a privilege to drive a car after taking a proficiency test due to the danger it poses. Obviously the purpose of guns is to kill. So they pose a real and imminent threat to life if in the wrong hands. What makes guns so special and deserving of protection by the Constitution? Why is the right of gun ownership so ingrained in our culture and so protected? It starts with the ending of the Revolutionary war where a militia of all able-bodied men was the only armed force our new nation had. There was no standing army so the only defense the United States had against the British or any other nation from invading was the militia as referenced to in the 2nd Amendment of the Bill of Rights. Throughout our history going back even before the Revolution people wanted to move West away from civilization and the control of government, free to settle and do as they wished. Because there were Indians, other people, and wild animals that potentially posed a danger to them their firearm was essential to their survival. This trek West by the pioneers continued throughout much of our history and the flintlock, rife, and handgun remain essential for their survival especially as Indians became increasingly hostile because of setter intrusions on Indian land. The Wild-Wild-West contributed largely to the popularization of guns. Though the need no longer exists today traditions died hard and some refused to die at all such as the right to keep and bear Arms. From a purely rational viewpoint guns are no longer essential to our survival as they were in the pioneer days. They now too easily fall into the wrong hands due to their abundance and lack of regulation and restrictions so cause far more harm than good. Statistics do not prove that having a gun improves ones chance of surviving a criminal threat or gun attack. In most cases the criminal is far more ready and able to use a gun than the victim and will more likely use deadly force if confronted with a gun. So guns generally give a false sense of security. Had teachers at Sandy Hook Elementary been armed and a gun battle ensued it is likely that even more children and teachers would have died. The kids with guns had semi-automatic assault weapons and a lot of ammunition, far out gunning any teacher with a handgun. In fact only a tiny percentage of shootings are mass shootings. What can be done? More fed up citizens against guns need to make clear to their congressional representatives that they want strong gun control legislation and to overturn the Court ruling on the right to keep and bear Arms. The 2nd Amendment actually reads: “A well regulated Militia, being necessary to the security of a free State, the right of the people to keep and bear Arms, shall not be infringed.” To me it clearly means that a Militia of citizens has a right to bear arms. At that time Militia meant every able-bodied man (people), in other words the people Miltia had a right to bear arms. Why else mention a militia in the 2nd Amendment? Today the militia is the National Guard and Naval Reserve, not all able-bodied men. And even they are not prepared enough to stop a well armed and determined mass killer from killing their members. What we have done to this point has not stopped the shootings and killings. They will continue until we stop the proliferation of guns on our streets and nation. This entry was posted in Constitution, Government and tagged arms is a Constitutional right, false sense of security, gun, mass shooting, militia of all able-bodied, move West, pioneers, popularization of guns, right of gun ownership, setter, Wild-Wild-West. Bookmark the permalink.